It’s been written that floor coverings likely originated from stalks of organic materials loosely applied to dirt floors to warm or visually improve them. 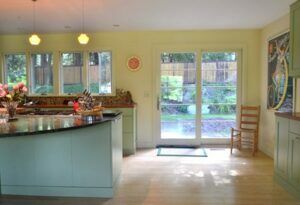 In this way, floor coverings would also differentiate one home from another. The concept was not dramatically different from today. Shopped for a rug lately? We installed bamboo flooring in our home throughout the entire living space on the main level, (except for bedrooms and baths). We were motivated by personal aesthetics, warmth and other practical considerations. We love it! Fortunately, we didn’t have to factor in nomadic portability as the ancients did. Evidence from the Caspian Sea region indicates that the practice of shearing sheep and goats and their incorporation into spinning/weaving techniques, dates back as early as 6000 BC. If you were a nomad, you had to roll your rug up for travel. In those days, permanence was a bad thing for floor coverings. The first “carpets” were probably cured skins, offering protection from the cold and easily transported. Carpets and floor coverings today retain many of the ancient characteristics. Pretty, warm, durable and functional. The order depends on the user. As an artist I’m preoccupied with the look and feel of things. Texture is really important for home décor. For example, be sure to extend your rug out from the bed at least a foot or two all around so your bare feet can easily land right on cold winter mornings. Personally, I travel with slippers because I don’t want my feet to discover a mystery surface of unknown cleanliness. We chose wall- to -wall carpet in our bedrooms because we didn’t want to worry about shifting material underfoot. If you find yourself shopping for rugs, there’s a HUGE range in quality and price. From material to look to cost. Take your time. It’s a jungle out there. And, like every other home décor purchase; make sure it’s really YOU. Something you’ll love for a long time. It also has to work with your other stuff. I understand why people get really conservative when carpet selection rolls around. For the look, you can go neutral or choose a solid color. Make the FEELING a priority. Buy something you’ll want to sit on, lie on, or have a child (or pet) roll around on. Lulu and Georgia is a family business founded in LA by a woman named Sara who named the company for her dad and granddad. Their rugs tend to be on the pricey side. But then again, if it’s a keeper, consider how long you’ll keep it. Certain designs look like modern variations of old, “Persian- like” rugs. Machine made, they’re an acceptable substitute for expensive antiques. I love the turquoise. Or, the Rumaya Gold. Comfort in color and texture- Turquoise or Gold? eSaleRugs. Lots of options, great pricing and free shipping. If you’re ordering sight unseen, always make sure you can exchange or return it for free. The color, the feel- all can change when you open it up at home. If your rug choice has a highly distinctive pattern, consider a second rug outside the main area to help transition that feeling into the rest of the house. 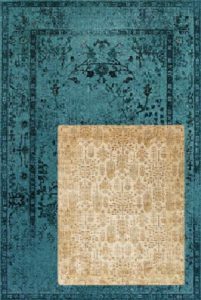 A “Barcelona Square” rug from eSale Rugs. Lots of color. A modern orange print– easy to integrate print- made in several colors. 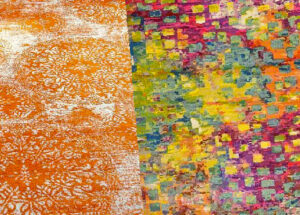 A modern orange print- easy to integrate print- made in several colors. 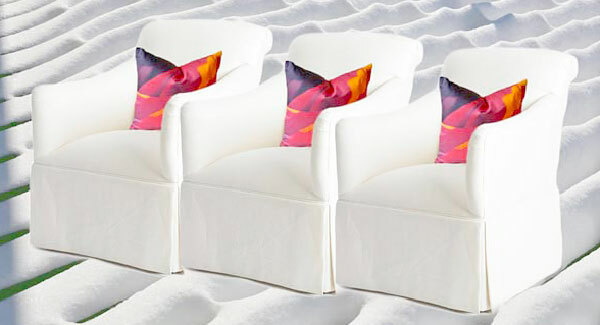 At Paola Pillows, we’re currently making one size- 18” cover and a perfect 20” feather/down insert. It’s just the RIGHT size for a body to relax on. We all need some R & R from time to time. Don’t you? See all our pillows here. Area rugs can always change. Jackson Browne has been a phenomenal singer-songwriter all his life. I think all great musicians evolve. Their writing and music can have a life of its own-even as others record it. Everywhere I Go. Subscribe to our blog and we’ll talk!